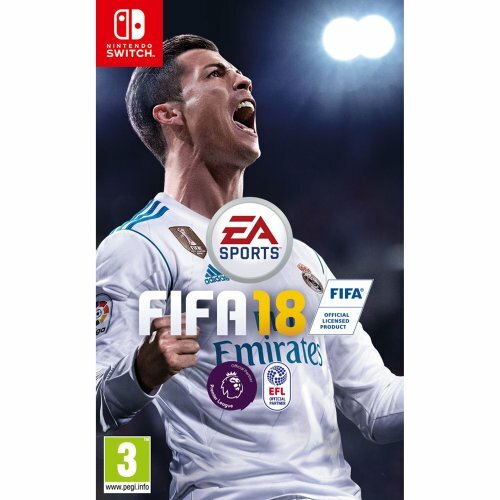 EA SPORTS FIFA 18 on Nintendo Switch is the most immersive, social, and authentic football game ever created for Nintendo players. 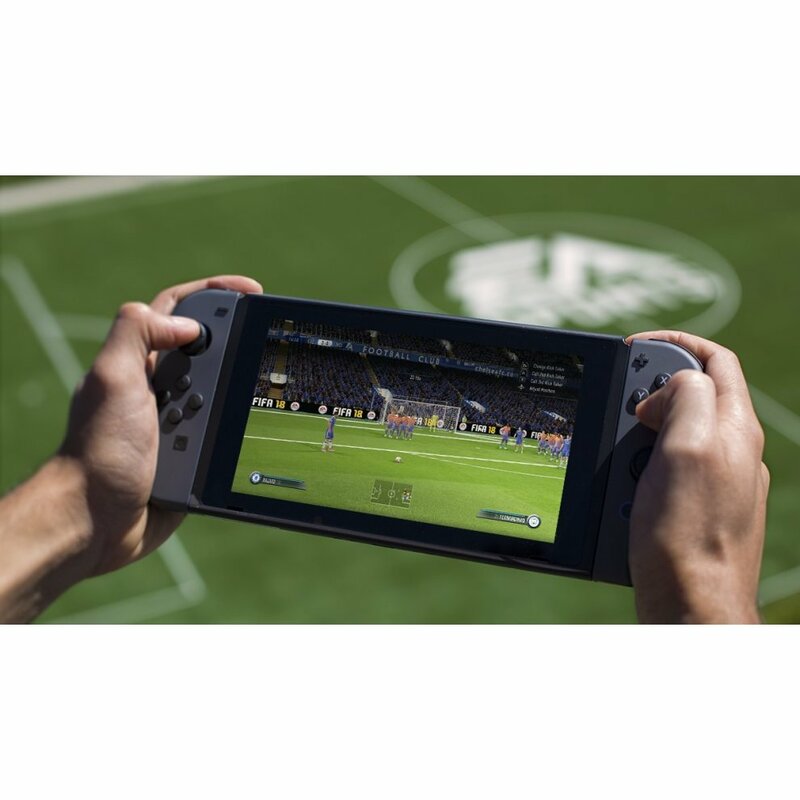 Feature packed, you can now play the world's game anytime, anywhere and in unique ways with FIFA 18 on Nintendo Switch. 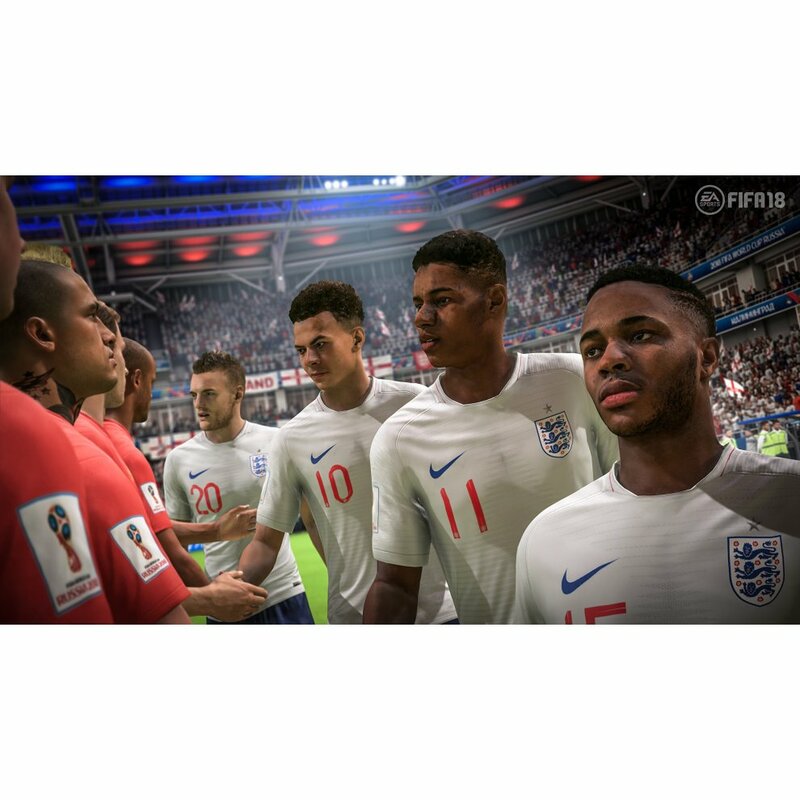 EA Sports is bringing footballs biggest tournament to EA SPORTS FIFA 18, giving players a 2018 FIFA World Cup Russia free* content update. 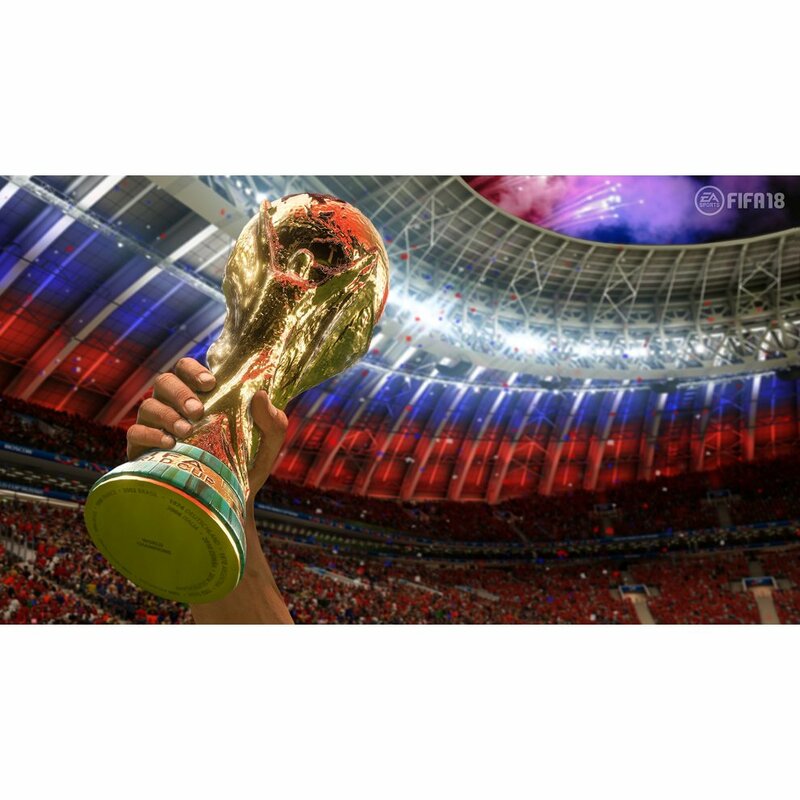 The 2018 FIFA World Cup update will deliver a complete and official tournament experience through official FIFA World Cup elements, including authentic teams, stadiums, kits, badges, Official Match Ball and the Official Winners Trophy. 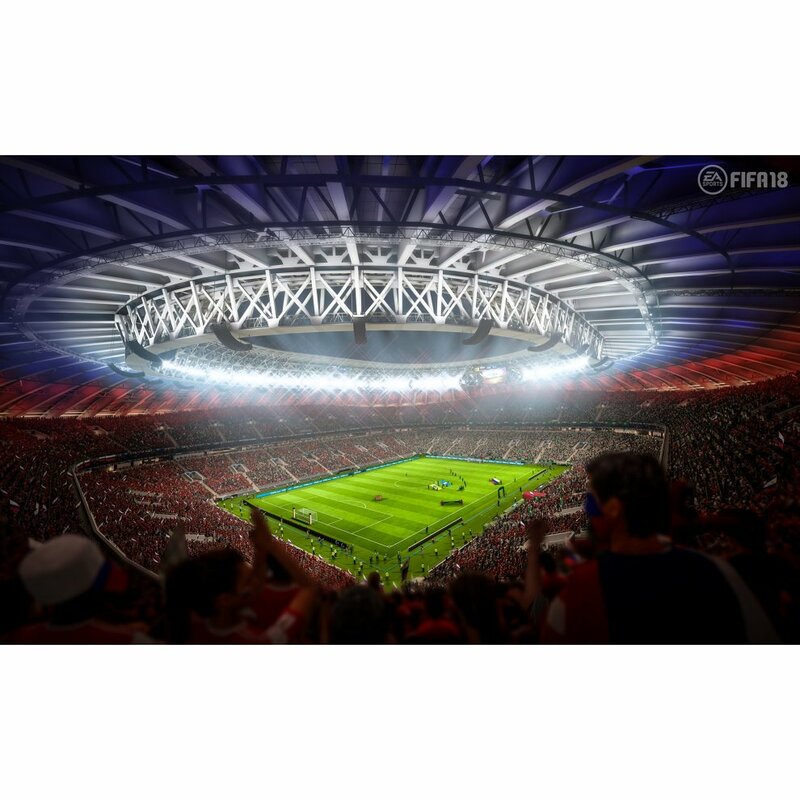 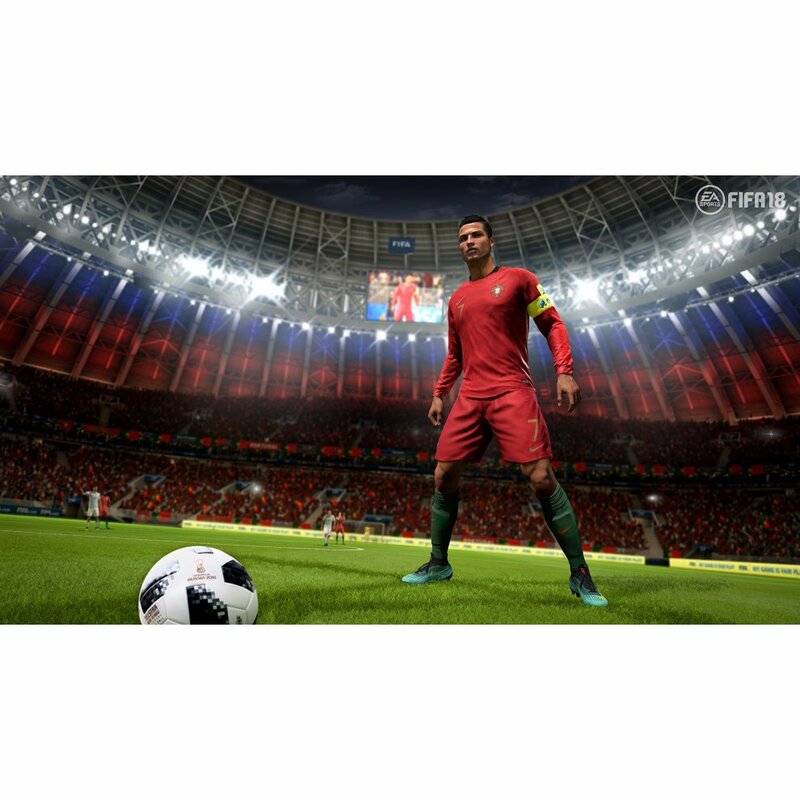 Celebrate The World's Game in EA SPORTS FIFA 18 with the addition of footballs biggest tournament: the 2018 FIFA World Cup Russia. 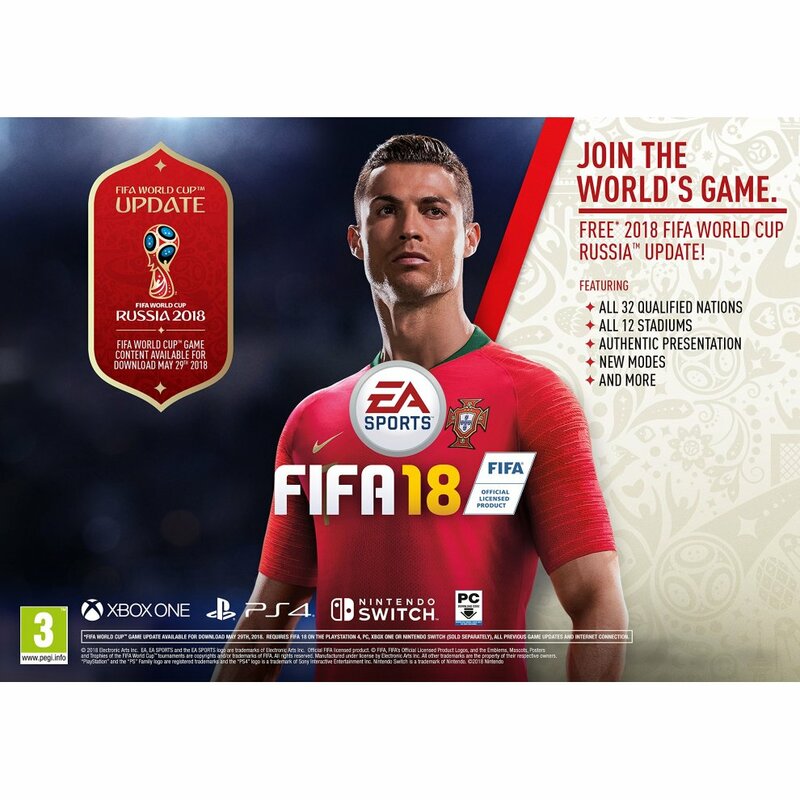 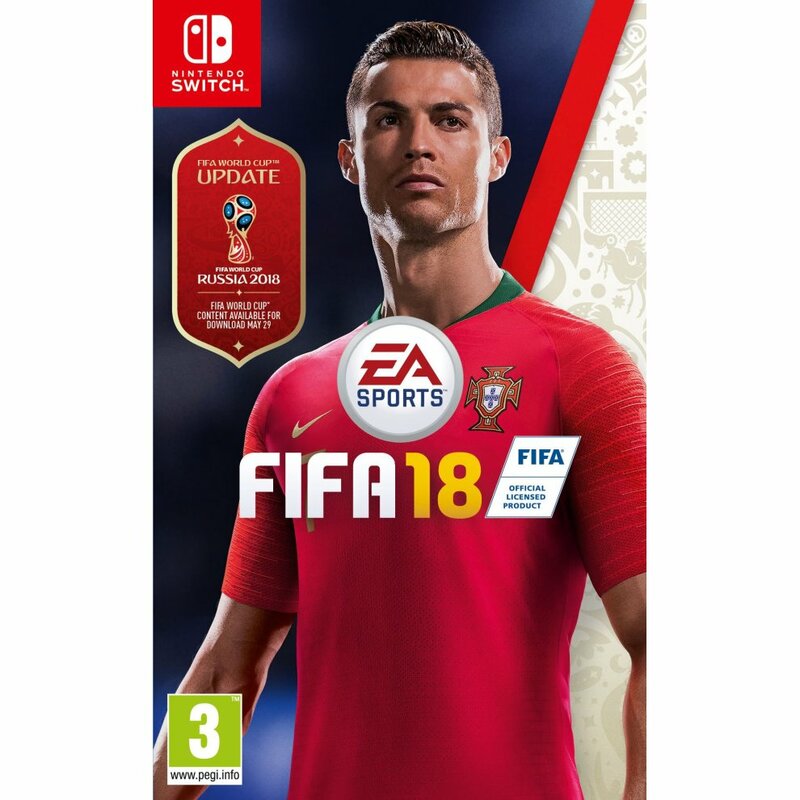 Available to FIFA 18 owners on the PlayStation 4, Xbox One and PC through a free* content update on May 29, the FIFA World Cup update lets you experience the greatest tournament on earth through authentic gameplay, teams, stadiums, and more.